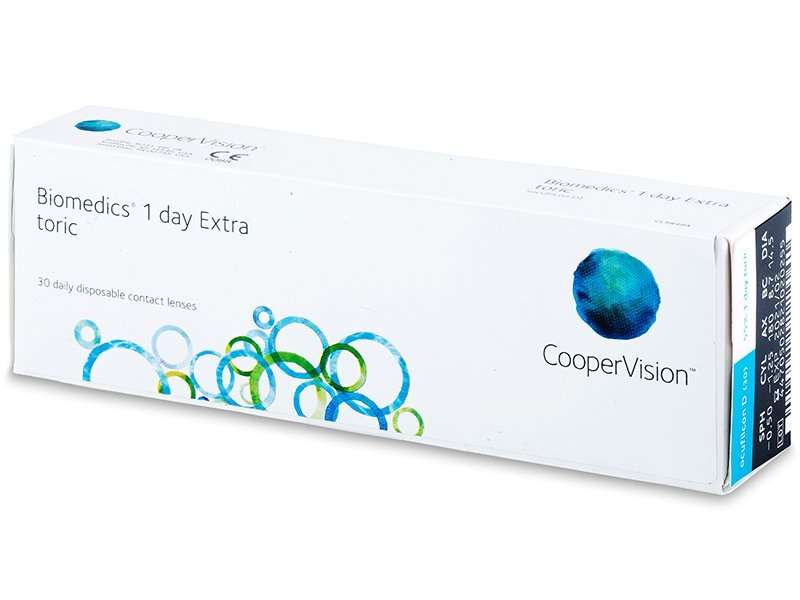 These daily contact lenses from CooperVision are designed to correct astigmatism. Their unique design ensures comfortable wear and sharp vision without blurring. They are lightly tinted for easy handling. 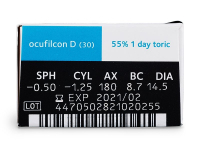 Biomedics 1 Day Extra Toric are daily contact lenses designed to correct astigmatism. Produced by CooperVision, these lenses are renowned for their high water content and excellent stability on the eye. 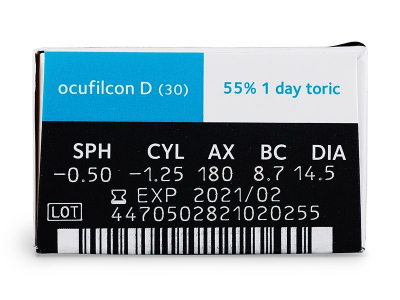 The unique design of Biomedics 1 Day Extra Toric ensures comfort and stability for optimal vision without blurring. They are lightly tinted for visibility and easy handling. Daily disposable contact lenses are the ideal choice for allergy sufferers and people who want to wear contact lenses only occasionally, for sport events and other such occasions. They are also a suitable for regular, everyday wear. Thanks to their daily replacement schedule, there is no accumulation of sediments such as pollen, dust, and other impurities that can lead to blurriness and discomfort.